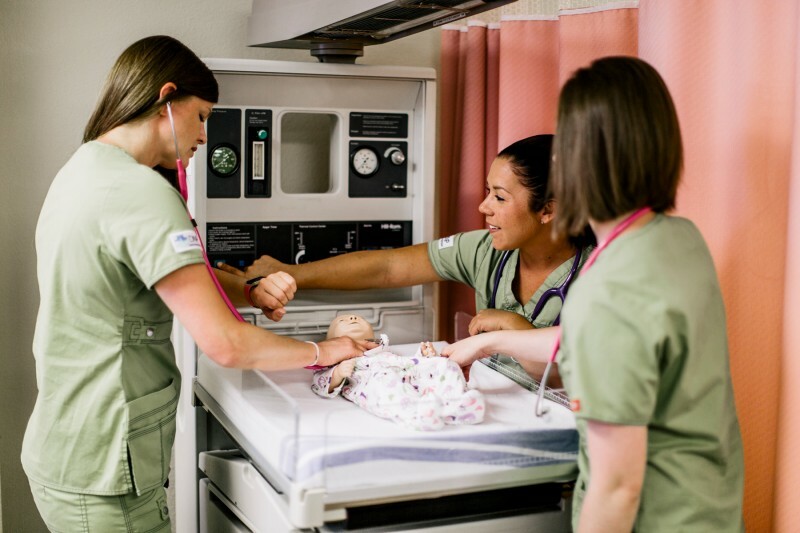 The Dakota Nursing Program is a collaboration between Bismarck State College, Lake Region State College, Williston State College and Dakota College at Bottineau. Students learn nursing training as a Licensed Practical Nurse (LPN) or advanced training as a Registered Nurse (RN). Enrollment is limited with selection made through a comprehensive and competitive process. Students are eligible to earn a Certificate in Practical Nursing after the first 11 months of nursing classes. If qualifications are met, including maintaining a minimum required program GPA of 2.75, students may continue and complete the second year, which leads to an Associate in Applied Science degree in nursing (RN). Clinical experiences occur at the local hospitals, nursing homes, and community settings and includes Med/Surg, Operating Room, ER, Maternal/Newborn, Pediatrics, Psychiatry and ICU. Classroom education is delivered from instructors on campus and at distant sites via the Interactive Video Network (IVN). Clinical/lab practice occurs at local sites in nursing homes, hospitals and other community settings.